1 in 3 women suffer from heavy flow during periods. Heavy flow can be managed with right products. Having a healthy diet helps cope body with excess blood loss during periods. Seek a doctor’s consultation if you have any unusual symptoms. 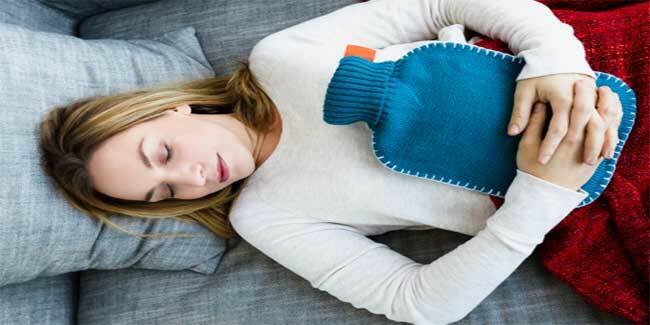 One in three women suffers from heavy flow during periods, also called menorrhagia. While the exact cause may vary from hormonal imbalance to certain medications, heavy blood flow is usually seen in teenage girls or women who are in the premenopausal phase. Irrespective of which phase you are in your life, heavy bleeding during periods is uncomfortable. It makes you conscious of yourself and prevents you from having a normal day. Generally, if you are using plus sized sanitary products and have to change more often that recommended on the pack or if the bleeding persists for 7 or more days you are probably having a heavier than normal blood flow. Keeping a record of how many sanitary products you use throughout the period can help you get a fairly accurate measure of blood loss during mensuration. Taking ibuprofen reduces the blood flow and also helps with other symptoms of mensuration such as cramps. Make sure not to have aspirin some time before or during your period, as aspirin will increase blood flow. Always carry a day long worth of sanitary supplies if you are leaving home. Try using maxi or largest sized sanitary products. Overnight pads can be used at day time too if you do not want to change too often. However, never wear a pad or tampon longer than the recommended duration as there is a risk of infection. Menstrual cups are great for heavy bleeding as they have a larger holding capacity than tampons and sanitary pads, and carry a lesser risk of leaking. Since heavy flow can also be a result of hormonal imbalance in your body, having a healthy diet and regular exercise can help with irregular or heavy periods. Increase the intake of fluids and salts. Vegetable juices, salty broths and clear soups are your best bet to replenish lost fluid and electrolytes. Too much bleeding can cause dizziness or even low hemoglobin levels. If excessive blood loss results in anemia, you can consult your doctor if an iron supplement might be required. Eating iron rich food items such as liver and green leafy vegetables can also help to bring your hemoglobin level up to normal. If heavy periods are preventing you from having a normal life, or it is accompanied with other problems such as dysmenorrhea your doctor might start you on a course of oral contraceptives. Oral contraceptives contain hormones which can help to regulate your periods and reduce excessive bleeding. Any unusual symptoms such as dizziness, severe pain, or unmanageable bleeding should be taken seriously and calls for a consultation with your doctor.